He makes a pretty strong argument. Leonardo DiCaprio has defended the environment for at least two decades. He’s campaigned for coral reefs, forests, indigenous communities, elephants, and tigers. Now he’s coming to the rescue of the world’s fish. And he’s doing it by investing in a seafood company called LoveTheWild that sells wholesale frozen fish raised in farms. If that sounds a little odd, here are five reasons why he did it. 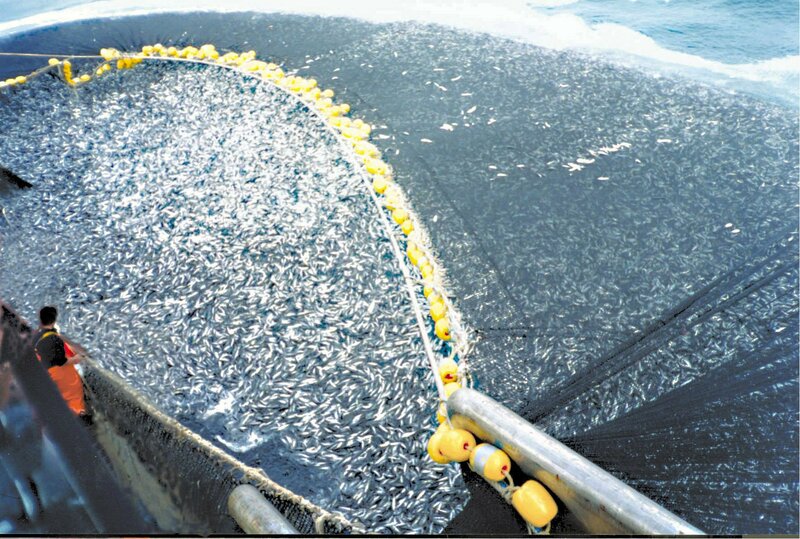 Billions of people around the world rely on protein from fish, and this enormous demand has devastated fish populations. In fact, more than 85% of the world’s fisheries are endangered because of overfishing. And many of humanity’s favorite fish species — like Atlantic Bluefin Tuna — are on the brink of extinction. “The exploitation of our oceans has left many marine ecosystems on the brink of total collapse, which is hurting our ability to harvest our seas as a reliable food source as we have for thousands of years,” DiCaprio said. To prevent the world’s oceans from being barren wastelands, regulations, limitations, and changes to sourcing have to be made. That’s where aquaculture comes in. 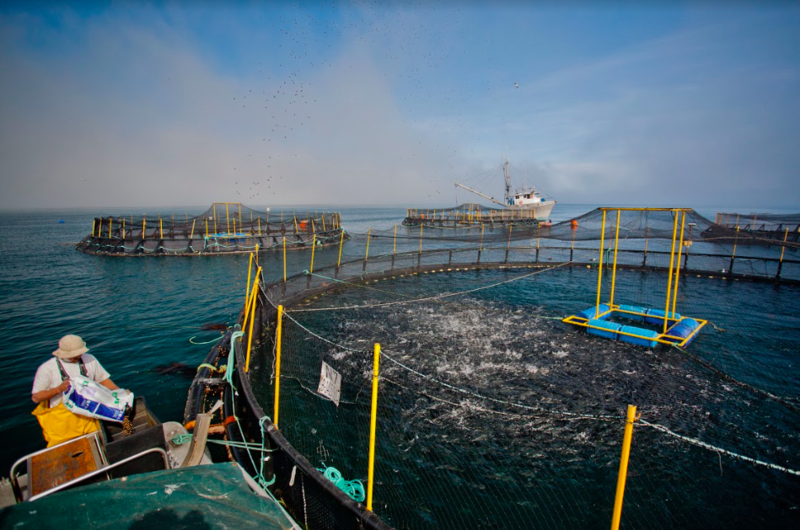 Fish farms, or aquaculture, carry a stigma. Many people picture crowded, contaminated tanks with fish full of antibiotics — the marine equivalent of factory farms. But that’s a misrepresentation — awful examples coming to define an industry. “There have been so many advances that have happened that make it truly sustainable,” she said. That doesn't mean that there aren't still unsustainable and unsafe fish farms — but there are a lot of highly credible producers. "Aquaculture is currently playing, and will continue to play, a big part in boosting global fish production and in meeting rising demand for fishery products," the Food and Agriculture Organization wrote in a report. 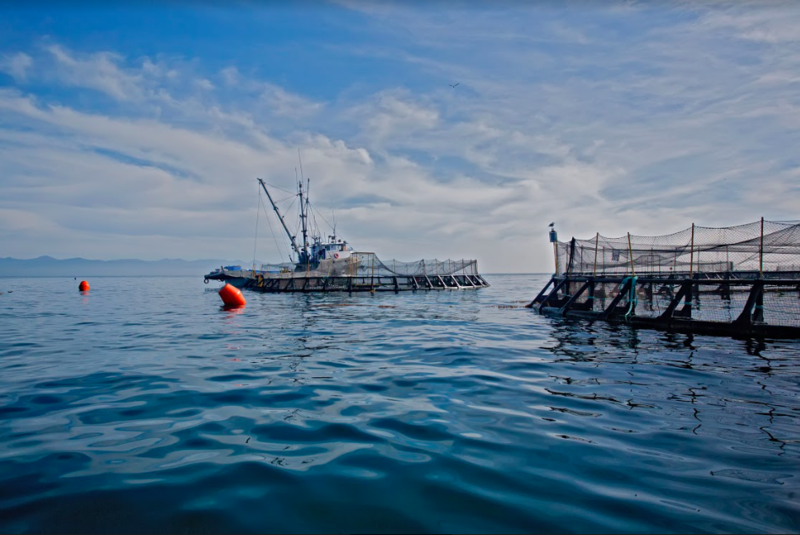 LoveTheWild’s aquaculture practices are fully transparent. The company uses six different methods for each of the fish species that it raises. From open ocean nets to fish raised in ponds, the practices involves water that is regularly replenished and always clean. Sustainable aquaculture like this has the potential to ease many of the pressures facing the world’s wild fish populations, while greatly expanding supply. This is the main selling point for DiCaprio. Everything LoveTheWild does is predicated on sustainability. The company freezes all of its fish upon harvesting to minimize the energy footprint of storing and transporting their products. As a comparison, Claudia described a fish caught in Hawaii that’s flown fresh to Chicago for dinner. The ecological footprint of that fish would be astronomical. By comparison, driving large shipments of frozen fish has a much tinier impact. This also leads to the company’s distribution method. Rather than selling directly to consumers, it sells its fish wholesale to cut down on shipping and packaging, both of which consume huge amounts of energy. Frozen fish also has a much longer shelf life — up to 18 months, compared to a few weeks at chilled room temperature — which leads to less food waste. “Sometimes 30% of [fresh fish] doesn’t sell, and I really feel if we’re harvesting animals that are endangered, we have to be consuming them,” Claudia said. She also questioned the definition of “fresh.” Most seafood sold at fish counters, she said, is frozen then thawed multiple times, and these temperature shifts degrade quality. A pound of farmed fish requires about 1.2 pounds of feed and 1 gallon of water. A pound of beef requires 13 pounds of feed and 2,500 gallons of water. By 2050, the global demand for animal protein is expected to double. Why not make more of that farmed fish, which doesn’t contain harmful growth hormones or other substances, has a much smaller environmental impact, and contains healthy omega-3 fatty acids? “If you choose something different for dinner twice a week, you can have a big impact on climate change,” Claudia said. 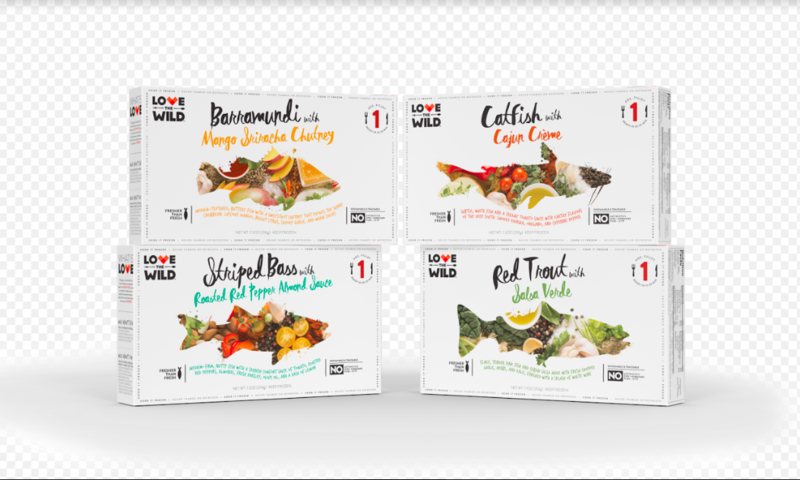 LoveTheWild currently sells five different types of fish, such as “Red Trout With Salsa Verde” and “Striped Bass With Roasted Red Pepper Almond Sauce” in grocery stores throughout parts of the US. The company hopes to reach the entire country in the near future. The fish is seasoned in the package and is ready to eat after 20 minutes of cooking. It’s meant to be cooked directly from frozen, which helps to preserve the integrity of the flavor and texture. Leo won his first Oscar for his role in the “Revenant,” which included a lot of scenes of pristine, fish-filled rivers. LoveTheWild isn’t catching fish from rivers like that, but they’re trying to create a world where that’s still possible, and where you can still enjoy fish.